Purple Fur Line Black Blindfold with Purple Fur. Purple fur line features black leather lined with brillant purple fur. 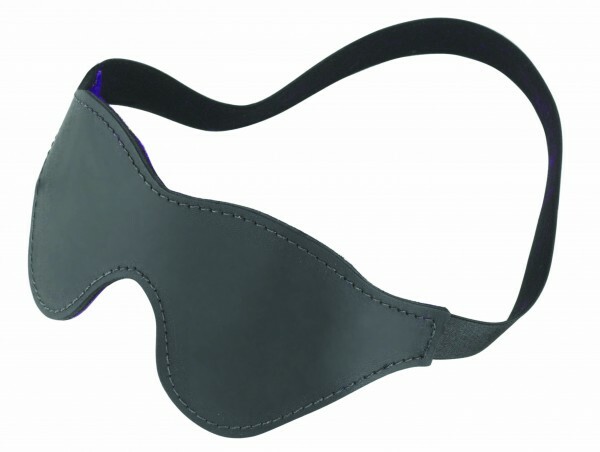 Spartacus Classic Cut blindfolds offer wide coverage so there will be no peeking! Available in black leather lined with fabric, plush purple faux fur, or soft black faux fur. Or get colorful with red, pink, blue, or violet leather, all lined with soft faux fur! One size fits most. Spartacus A Passion For Quality Catalog. Made in the USA.